Once there we had to sit through a power point presentation about the dangers of malaria, only getting in company-driven vehicles, etc. etc. There are various areas in the city identified as “no-go zones” or “go-zones” during daylight hours only. Some of them stay fairly constant—they’re always off limits. But some change from time to time. For example, just up the road from headquarters recently became a no-go zone even in daylight hours because of a carjacking. Neato. The drivers always know where you can/can’t go though, so when you get in the car and tell them where you’d like to go, they shut it down if you’re trying to go somewhere off limits. The security was one of the first things that struck me. Barbed wire and electrified fences all around the office building, a guard house with at least half a dozen guards. A dog too. Just getting into the parking lot (not event he building, mind you) practically required a blood sample. it took some work to get one of these bad boys. It was pretty similar at the hotel we stayed at those first few days. (Our apartment wasn’t ready yet.) There are massive gates and signs notifying all vehicles they may be searched as a condition of entry. All of our company-provided vehicles are basically the same make/model/color though, so a quick look in the window and we’re let through without any trouble. We spent the weekend getting to meet people, learning about the magic that is waiting for-everrrrrr for a car, and finding out all about our new life. I don’t yet have photos of the general scenery here, or inside grocery stores and things like that. We’re instructed to give it up if we’re ever held up, and consequently I haven’t been brave enough to take my camera out yet. The general theme though is that everything is, well, kind of dirty. Don’t get me wrong–some places are very nice, but it’s what you might conjure up in your head if you thought of a third world country. You have to wash even canned goods when you get them home from the grocery store–everything has a layer of dust/dirt on it. Oh, and it’s expensive. 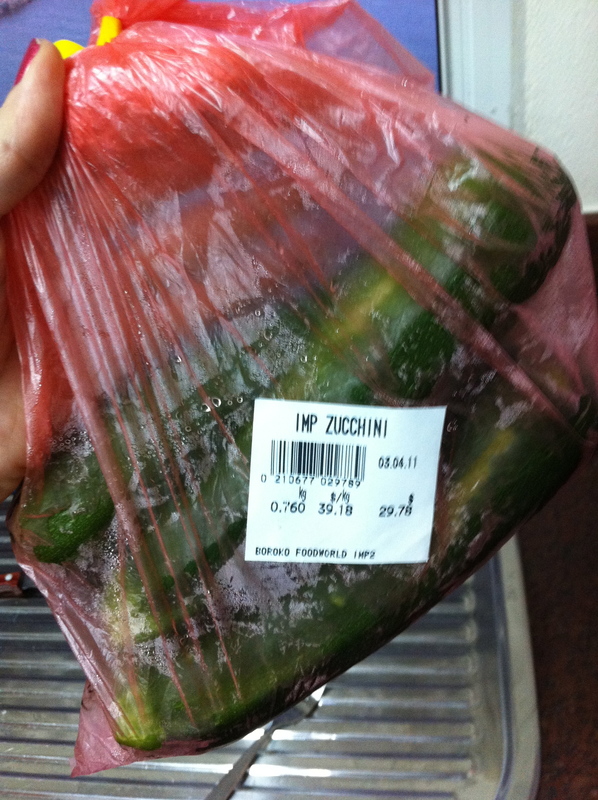 That’s zucchini, and the price is in Kina, so the conversion is right around 2.8k=$1. So I usually divide by three and then add a little back on when I’m trying to figure out how much something costs. So this? Was like $10. But I’m getting ahead of myself. We spent a few days at the hotel before getting the keys to our apartment. It’s a little retro in the decorating and it’s definitely showing its age, but you can’t beat the view. Those little tiny specks out there are people. 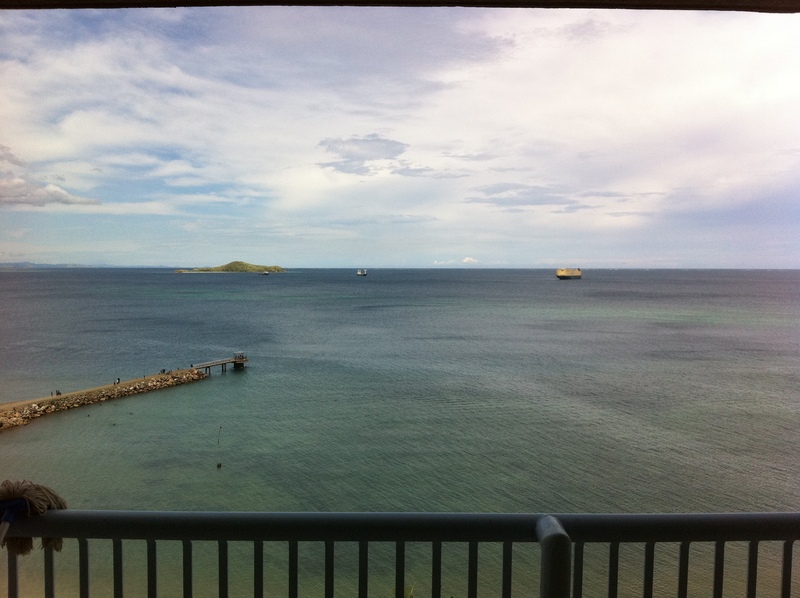 The blip to the right is a MASSIVE cargo ship. It’s nothing but ocean all the way to the horizon. It’s the same here too–the fences, the guard house, the dog. We live right at the end of a road (note the ocean above) though, so it seems to be quite safe from what I can tell. If nothing else, you should at least have a view of the beach and drivers! 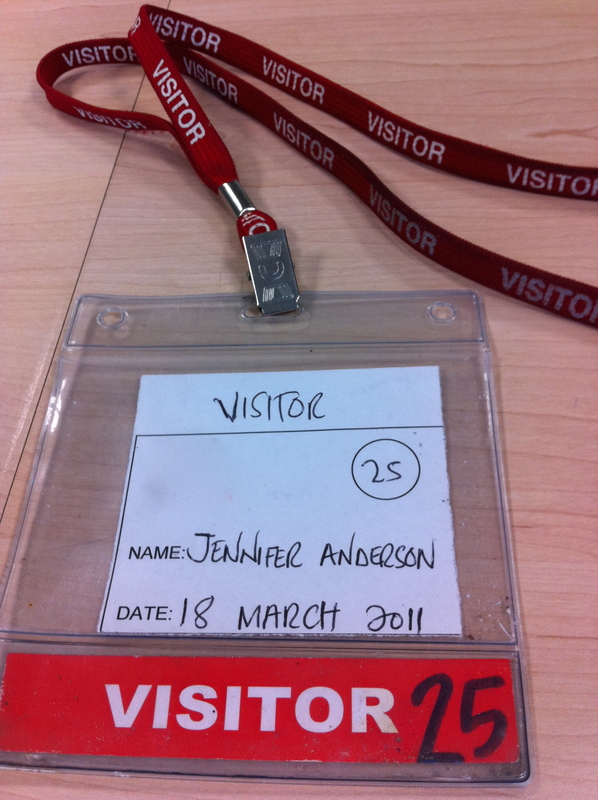 and a cool visitor’s pass? 😉 Love the story updates, keep ’em coming! I’ve read a travel blog about making your camera look beat up on purpose to deter theft. Cover it with duct tape, cut out strategic holes for the lens, etc. and then rub black magic marker/grease type stuff all over. $10 for cucumbers? sigh. glad to hear from you!